We offer in-home puppy training in Longmont, Loveland, Berthoud, Mead, Johnstown, Lyons, and Hygiene Colorado. Puppy chewing: how to stop puppy destruction. How to stop puppy biting & nipping. Leash walking: teach puppy how to walk on leash without pulling. 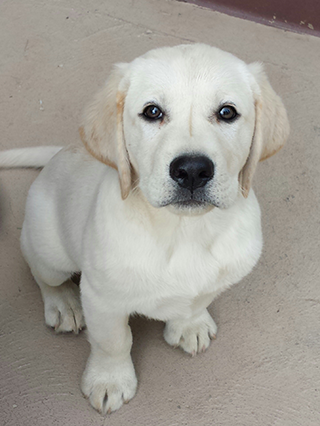 Basic puppy obedience such as sit & down. Puppy recall: How to get your puppy to come when asked. How to teach household rules to your puppy. Teaching puppy how to go to his place. Door manners: teaching your puppy not to bolt out the door. FOR PUPPIES UNDER 18 WEEKS OLD: All puppies new to PAWSitive Approach, and under 18 weeks old, must first attend Puppy Talk, before purchasing any lessons or packages. If your puppy is 18 weeks or older, please visit our Dog Training page. SERVICE AREA: Please check to ensure that you are in our service area. SIGN UP: Click on the purple button next to/under the lesson description below to start the sign-up process. QUESTIONS? Please contact us with any questions or concerns. We will be happy to help you. NOTE: We charge for time required. We do not charge per dog. In order to teach, we must be able to communicate. Your puppy must be able to understand what it is that you want, and you must be able to understand your puppy's needs. Communication is vital to learning. Puppy Talk will get us started with human-puppy communication. We will observe your new puppy, noting your puppy's strengths, and also if there are any weaknesses where extra attention may be needed. We will also have a puppy communication lesson to aid in communication to your puppy, and the understanding of your puppy. We'll talk about any specfic goals you may have for your puppy and how we can meet those goals. And we will provide general, every day survival tips to get you and your puppy heading in the right direction. Any questions you have will be answered, and we will get started right away with a lesson on successful house training/potty training for your puppy. One-on-one instruction from a Karen Pryor Academy certified "Puppy Start Right" instructor. A Puppy Evaluation & goal assessment. An introduction to our puppy training methods. A house training/potty training lesson. Welcome folder, and a goodie bag, including two free clickers! *Please check our service areas, as a travel fee may apply. Start that puppy off on the right paw! This is a 5 week package that includes everything you will need to get you and your new puppy heading in the right direction. Demos of all exercises with your pup. Written copies of all exercises. 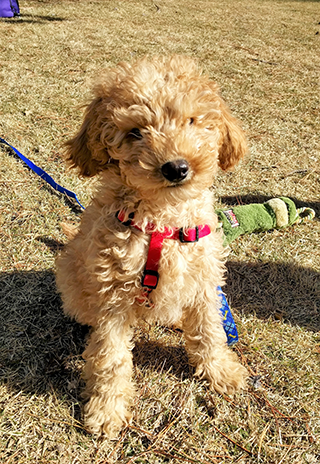 We provide force-free, positive puppy training in Longmont, Loveland, Berthoud, Lyons, Hygiene, Johnstown, and Mead Colorado. *Travel fee: We charge a travel fee of $1 per minute for all minutes traveled over 25 minutes from our location in Berthoud CO, to yours (50 minutes total both ways), per googlemaps.com. If unsure of your distance from us, please send us your address, and we will check to see if there will be a travel fee, and if so, how much it will be. © 2019 PAWSitive Approach L.L.C. All rights reserved.